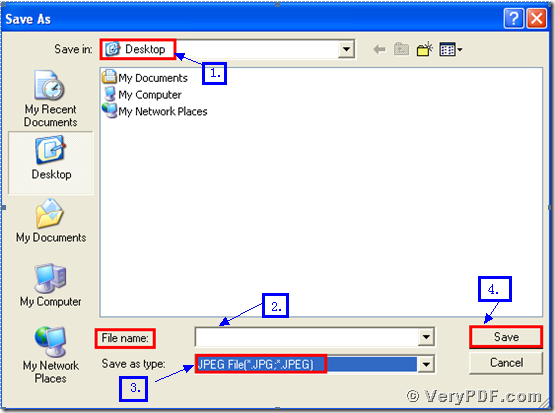 ← How to set bit depth when batch convert HTML to PNM? You will never feel exhausted to print PowerPoint documents of ppt to jpg. Because the VeryPDF.com,Inc. 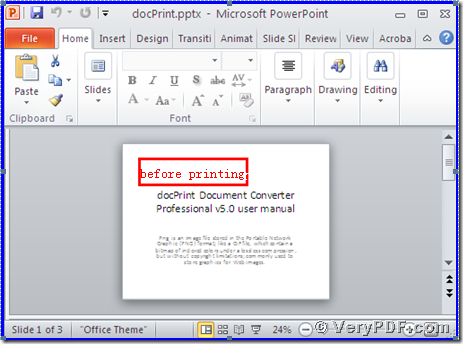 develops a very useful software, the docPrint Pro which is short for the docPrint Document Converter Professional. 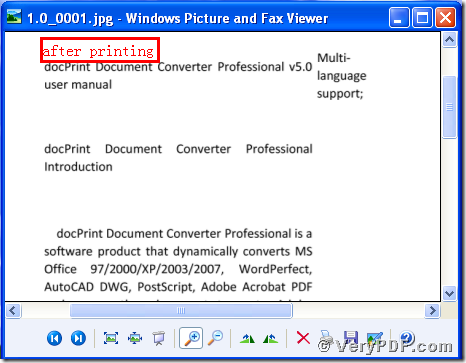 One of its applications is the virtual printer, we will use this function later.You see this software has two virtual printers: one is the docPrint; the other is the docPrint PDF Driver. 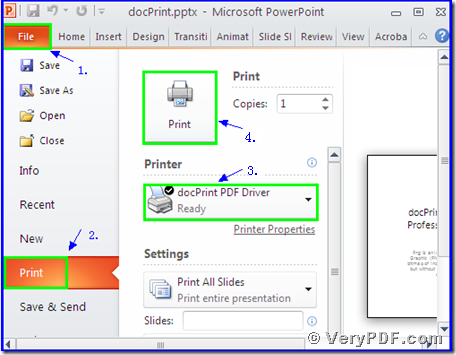 We can use the docPrint PDF Driver to print PowerPoint documents of ppt to jpg in a convenient way. Since the process is simple and quick, let’s go to experience. 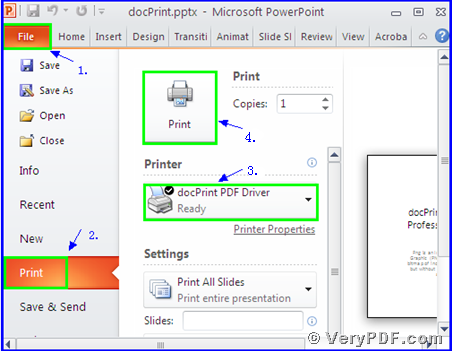 You will vividly find that we had printed PowerPoint documents of ppt to jpg by using the docPrint PDF Driver. Do you think it is simple and easy? I think that after reading my article, you can master this function by yourself. The same way to print ppt to eps . 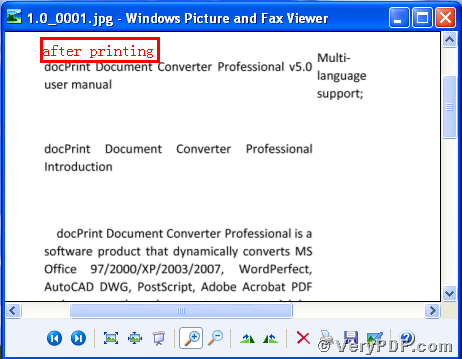 In additional, there is a basic version of the docPrint Pro. It has the same functions as the docPrint PDF Driver. The price is very low. 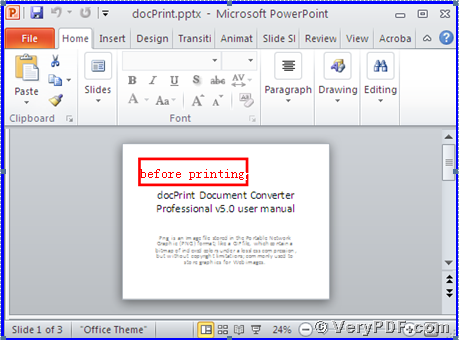 You can download it through this link: http://www.verypdf.com/artprint/docprint_setup.exe , if you want to purchase it, click to http://www.verypdf.com/order_docprint.html. Thanks for your reading. 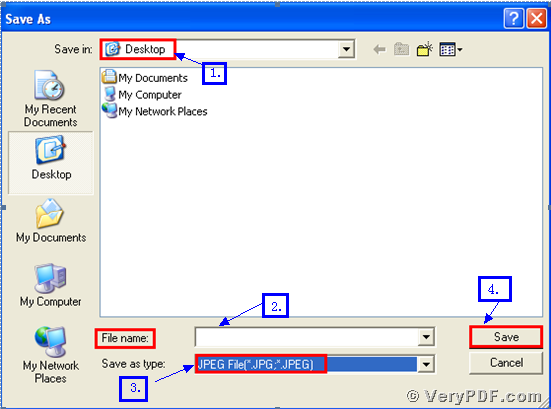 How to convert OpenOffice documents of ODT to JP2? This entry was posted in docPrint Pro and tagged docPrint, PPT to eps, ppt to tif. Bookmark the permalink.